We run rides for all types of bikes and all levels. The rides calendar is also published in the “Events Page” of Bicycle NSW website. Each ride is graded. There is no charge for our rides which are run for free by volunteers. Rides are open to the general public. 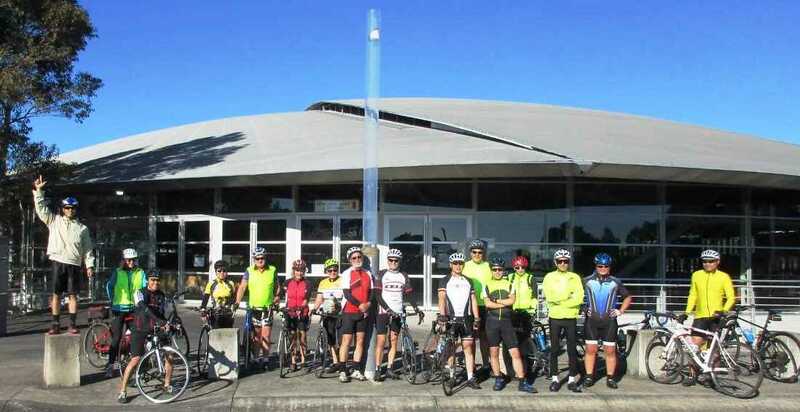 If you are new to Bike North rides we recommend that you contact the ride leader a few days before the ride. If you have any questions about our rides please contact our Rides Coordinator. You will find their contact details in the “Contact Us” section. In the rides program the rides are graded Easy, Medium or Hard depending on the terrain and speed. Please choose a ride that is suitable to your own fitness and experience. If in doubt please check with the ride leader. All persons joining our rides do so as volunteers in all respects and as such accept sole responsibility for any injury howsoever incurred and Bike North and the appointed ride contacts cannot be held liable in respect of any injury or damage resulting from participants engaging in any such ride activity. Riders under 18 should be accompanied by a cycling adult. A Standards Association of Australia approved helmet is legally required, under state law, by all participants on all rides. Essential equipment also includes a bicycle in good working order, water bottle, snacks, tire pump, tube repair kit and appropriate tool kit. For Night Rides you must also have a Headlight and tail light that will work for at least 4 hours. As a participant in this dangerous recreational activity, you may be exposing yourself to a significant risk of harm. Bike North, the ride organisers and leaders wish to warn you of the risks and hazards that are an inherent part of cycling, and to take care to prevent putting yourself, your fellow participants and/or others into danger. By signing this form, you accept the warning as to risk, and you agree to ride in a safe and responsible manner and to obey all Australian Road Rules.